Lorenzo Villoresi via his website. A trip to the Middle East became the inspiration for a lifetime in the perfume world. Lorenzo Villoresi is an Italian perfume house whose journey began in 1981 when its founder fell in love with the smells and spices of a very different world. 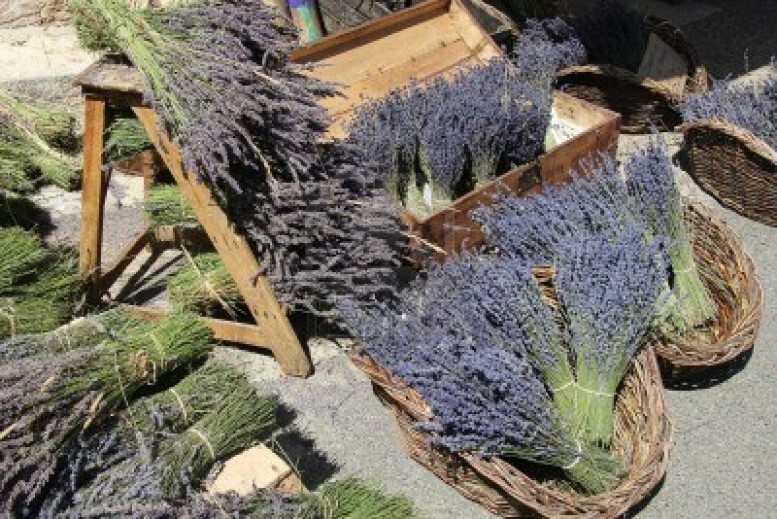 As Mr. Villoresi explains on his website, he was so inspired that he spent many years studying the foundational elements of perfumery, from distillation to tinctures and aromatics. In 1990, he opened his perfume house to provide products to Fendi before finally releasing his own creations in 1993. In 2006, he was awarded the prestigious “Prix Coty” in Paris, perhaps the highest international perfume accolade that recognizes achievements in the perfume world. Today, we’re looking at his take on sandalwood with the “monothematic” Sandalo. Sandalo opens on my skin with a whopping amount of petitgrain, the twigs from a citrus tree that are distilled down to a piquant, bitter, spicy woodiness. Here, their bitter aroma is infused with pungent lavender, rosewood, and very green, creamy Australian sandalwood. Whatever the company may say in its description for Sandalo, I refuse to believe that there is a drop of true, ancient, red-spicy Mysore wood in the fragrance. Not a drop. But what there is smells quite nice for the Australian version. It is followed by a bitter neroli, a dry woody vetiver, sweet myrrh, lemon and a warm musk. That description is one of the many that I’ve read about Sandalo’s opening minutes, along with “odious,” “medicinal,” “harsh top notes,” and “unpleasant.” Even a few people who love the fragrance have admitted to struggling with the opening when they tried the perfume for the very first time. I think the adjectives are all quite accurate. 15 minutes in, Sandalo feels unbalanced in its aggressive blast of lavender, petitgrain, neroli, unsweetened citruses, rosewood, vetiver, and musk atop that sandalwood foundation. The latter is wonderfully creamy, though very green in smell and visuals. Despite the thickness of the sandalwood underlayer, it’s not enough to counter the rest of the notes at first. As a whole, Sandalo opens like an aromatic cologne with a very masculine, aggressive profile, but it does get better and it’s all thanks to the sandalwood. I’m generally not a fan of the green buttermilk variety of sandalwood found in Australia, but it’s nicely done here given the other green and woody notes. It definitely doesn’t smell like the very generic, simple, beige profile of some purported “sandalwood” fragrances. Here, it takes about 30 minutes for the creamy wood to infiltrate the top notes, weaving its way throughout the harsher aromatic elements and turning Sandalo smoother, softer, and more balanced. The fragrance is masterfully blended in a way where you can smell all the notes at once, but, at the same time, you can’t really pick them out of the seamless cloud that is floating around you. Sandalo isn’t a fragrance that you can deconstruct, hour by hour. In some ways, it’s actually quite linear, shifting only minutely in small degrees. Lorenzo Villoresi described it as “monothematic” on his website, and he’s right. 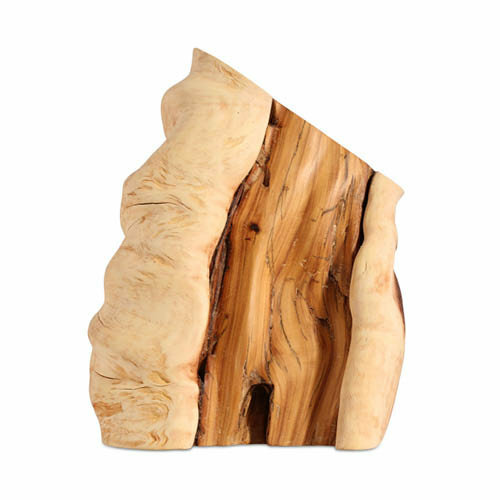 What happens is merely that the sandalwood grows and grows, while the other notes slowly drop in volume. It’s like playing with levers on a stereo’s amplifier, as you increase the base, you lower the top notes, and equalize things out. The same sort of things appears to happen to Sandalo. At the end of the first hour, the sillage drops, the perfume turns thinner, and the sandalwood slowly becomes the main focal point. Sandalo is now primarily an aromatic Australian sandalwood fragrance, infused with petitgrain, lavender, citruses and woody notes. 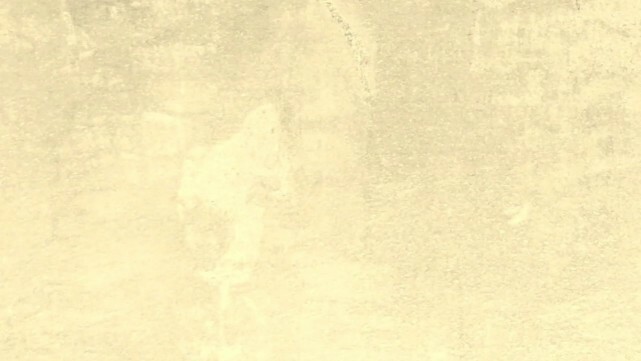 It’s a visual of rich cream and beige with splotches of green, purple, and woody browns. Those colours fade with the passing hours, as Sandalo turns into nothing more than pure Australian sandalwood with increasingly nebulous touches of woodiness and aromatics. A vague sense of something a little bit powdery stirs deep in the base at the start of the third hour, but it is muted and fleeting. Much more significant is the soapiness that arrives in the middle of the 4th hour. Soon, Sandalo takes on a clean, soapy and somewhat synthetic vibe, probably due to the white musk in the base. Whatever the reason, the perfume soon turns into a wholly soapy Australian sandalwood scent, and it remains that way largely until its very end. In its final moments, Sandalo is a mere blur of clean woodiness. All in all, using 3 good dabs, the fragrance lasted just over 6.75 hours on me. It turned into a skin scent at the 3.25 hour mark. At all times, it felt very airy and lightweight, despite the forcefulness of its opening stage. As an eau de toilette, it’s not surprising that the fragrance doesn’t have much heft, but the longevity was a bit low. His Sandalo is based on the essence of Mysore Sandalwood, harvested from the Mysore region of Karnataka, Southern India and considered one of the best sandalwood essences on the market. It opens with a burst of rubbing-alcohol (lavender) and citrus, then quickly settles into a heavier, woodsy routine flanked by some medium-bodied florals (allegedly rose and neroli, but they’re so well blended that it’s difficult to really pinpoint where they sit in the mix) and underscored with loamy grasses. Since Sandalo is predominantly (if not 100%) natural, it wears softly (too softly for my taste) and the overall effect is one of a rounded, deep forest scent, replete with a Bambi or two . . . yet for a fragrance titled Sandalo, I’m surprised at how much more I smell the musk and vetiver than the sandalwood; but not to worry, the whole thing pulls a Houdini-worthy vanishing act in well under three hours, so the sandalwood point is moot, anyway. On Fragrantica, the reviews for Sandalo are mixed, though the majority seem to agree with the longevity issue with the largest number (8) voting for “moderate” which is defined as 3-6 hours in length. What is more interesting is another number: 99 people voted for Sandalo having a strong resemblance to Gucci‘s Rush for Men. I haven’t tried it to know, but 99 people is a hell of a lot. In terms of the actual reviews, some find Sandalo to be a lovely, solid fragrance, praising its “meditative” qualities or calling it a “holy grail.” One person calls it “vile,” a few think it lacks “oomph” or specialness, and several note the harshness of its start. Some women find Sandalo to be too masculine, while one man thought there was a note akin to the glue that you use to put down parquet. If you prefer “creamy” smelling sandalwoods, Villoresi will satisfy. If you prefer a sharp, dry, aggressive presentation (e.g., Crabtree & Evelyn, Santa Maria Novella), it will also please you. If you love the dark, deep-growl, super manly presentation of sandalwood you get in the base accords of a lot of men’s scents, you’ll love this too. The opening blast hits hard and aggressively, with sharp citrus, lavender and rosewood notes. Underlying all that, you can smell the milky, creamy scent that is so often associated with Mysore sandalwood from India; because this type of sandalwood is very rare and expensive, chances are good that the creaminess here comes from Ebanol, which is an excellent synthetic sandalwood known for its creamy smell. No matter, because it works brilliantly, never overpowering the complexity of this fragrance. The drydown smells dark and husky, with a kind of dark brown hue, both rich and rugged at the same time. It’s an extremely masculine and deep smell, with its own sense of mystery separate from what you get from the earlier stages of the scent. Wearing Sandalo is like being on a journey. … this is a potent perfume. It projects quite far, at least for the first couple of hours, and people will notice that you are wearing a very exotic fragrance. After that, the scent stays closer to your skin, but is still noticeable by others near you. Longevity is excellent, as it is with most sandalwoods, and I can smell this on myself for about ten hours. Basenotes commentators are similarly enthused. Sandalo’s entry has 22 positive reviews, 3 neutrals, and 1 negative one. I should start by saying I don’t really like sandalwood. This one is very nice. And ends with a lovely clean, slightly soapy drydown that I would enjoy wearing. […] I prefer the start [of Serge Lutens’ Santal Blanc], but two hours in the Sandalo wins by a olafactory landslide. The best sandalwood fragrance I’ve ever smelled is Creed‘s discontinued Bois de Santal, but the best extant sandalwood is surely Lorenzo Villoresi’s brilliant Sandalo. His creations tend by hectic and brash–finally settling after several minutes. Sandalo has some of that though it quite smooth and old-fashioned compared to most of what’s out there now. Sandalo is a woody oriental based around synthetic sandalwood (along with Australian perhaps), which is adeptly navigated by natural rosewood, which is sour, sharp, medicinal, and resinous. 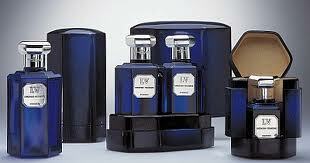 The opening is aromatic with lavender and exotic spices and floral heart of perhaps jasmine, rose, and carnation. The base consists of sandal, rosewood, tonka bean, and Villoresi’s signature resin. This fragrance opens very medicinal citrusy on my skin. 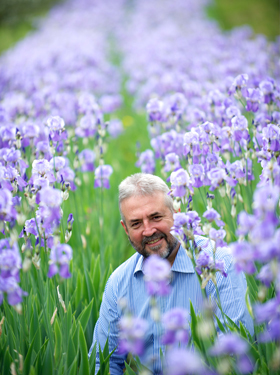 When the unpleasant top notes fade, I smell the lavender and wood note with a dusty floral note in the background. This stage is definitely more pleasant to smell. The base note on my skin is a musk, amber and sandalwood mix. I would describe this fragrance as being very manly and classic. Both Sandalo and Tam Dao smell a lot like Australian sandalwood to my nose. Theres nothing wrong with that – the sandalwood down-under may lack the medicinal depth and “magical aura” of the mysore oil, but it is a fine sandalwood blend in its own right (and easier on the nose if I may say so). Sandalo’s drydown smells the closest to the Aussie blend to my nose – its less sweet and more “tart” than the aus santal. Sandalo may disappoint if you are looking for something close to the mysore oil mixed in with the composition (although none of the fragrances duplicate the mysore smell very well – Santal Imperial perhaps comes the closest). However, by all other accounts, Sandalo succeeds. The pairing of rosewood/sandalwood with a host of other uplifting and meditative notes like lavender, lemon, rose and neroli give it a certain brightness and spark. If Tam Dao left you wanting more, give Sandalo a try. I’m going to have to be in the minority on the issue of Sandalo. I find it hard to summon up much enthusiasm for an Australian buttermilk version, but being a sandalwood snob is not the real reason why I’m so underwhelmed by the fragrance. It’s simply not as complex on my skin as everyone else seems to describe. The cologne-like opening is unbalanced, in my opinion, and then the perfume simply becomes an uncomplicated Australian sandalwood with aromatics before ending off in a soapy, clean finish. I don’t like soapiness, nor the synthetic white musk underlying it, but it is the lack of interesting nuance that is my main problem. Perhaps the perfume has been reformulated since those 2007 or 2011 descriptions on Makeupalley, but on my skin, there was no resinous drydown, no “woody-rose,” or amber. Just Australian sandalwood with either harsh aromatics and lavender, or soapiness and clean musk. Meh. So, I shall go sit in a corner with Nathan Branch, and quietly shrug. For everyone else, especially those not plagued with my issues with green Australian sandalwood, you may want to give Sandalo a try. I know a number of people are mourning Tam Dao’s reformulation, so this might be your answer. Sandalo is affordable at $80 for 50 ml, and it does improve after its brusque opening. Perhaps on your skin, it will turn into the woody, ambered, resinous glory that others seem to enjoy. Cost & Availability: Sandalo is an eau de toilette which comes in two sizes. There is a 50 ml bottle which costs $80 or €80, and a 100 bottle which costs $150 or €120. In the U.S.: The primary distributor for the Lorenzo Villoresi line is LAFCO which has stores in NYC, LA, and Dallas. The fragrances are also carried at the Beauty Bar Apothecary in Beverly Hills, but they don’t have a website. I could not find the brand on Luckyscent or the usual NYC perfume sites. Outside the U.S.: You can order the fragrances directly from the Lorenzo Villoresi website which also offers a special 100 ml Gift Bottle with a silver-engraved top. In Canada, you can find Sandalo at The Perfume Shoppe which sells the 100 ml bottle for US$150. The company is based in the US, so you can email them about their Canadian prices. In the UK, the Lorenzo Villoresi line is supposedly carried at Fortnum & Mason, but I only see the potpourri on the website. Les Senteurs also carries the line, but they seem to be out of Sandalo as they only have a sample for sale. Germany’s First in Fragrance has the 100 ml bottle of Sandalo for €120. 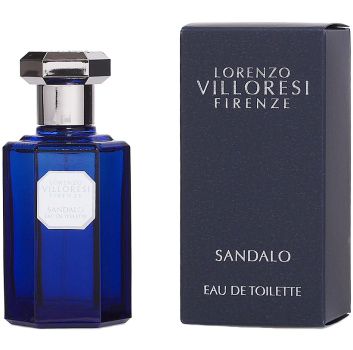 It also carries a Sample Set of 16 Lorenzo Villoresi fragrances, including Sandalo, in 1.5 ml sprays for €45. In France, there are a number of retailers, including Paris’ niche boutique Nose, but they don’t show Sandalo on their website. The same situation applies to Amsterdam’s Perfume Lounge which carries a lot of the line. Lorenzo Villoresi’s fragrances seem to be carried at numerous, small niche boutique throughout Europe, with obvious emphasis on Italy, but you can also find the fragrances in Australia, Japan, the Middle East, Austria, Lithuania, Greece, Israeli, Russia, China, Sweden, and the UAE. You can use the Lorenzo Villoresi Distributor page to find a retailer near you. Samples: Surrender to Chance sells Sandalo starting at $3.99 for a 1 ml vial.